Medical Cartoon 1826: "Roentgen tries to figure out what he's discovered." 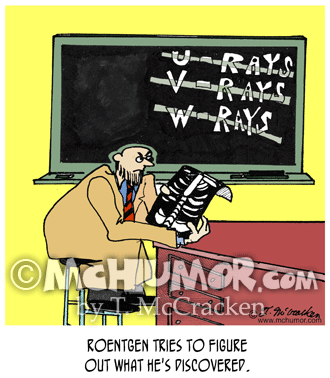 A scientist looks at an X-Ray and on a black board behind him he's crossed out U-Rays, V-Rays, W-Rays. 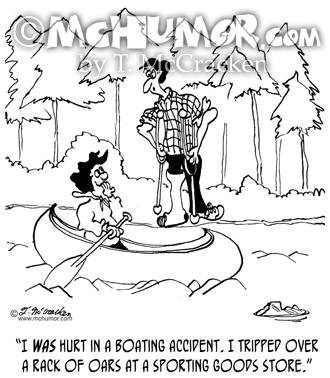 Canoe Cartoon 6732: A man in a cast saying to a snickering woman, "I was hurt in a boating accident. 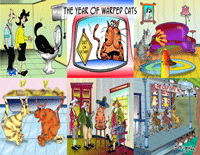 I tripped over a rack of oars at a sporting goods store." 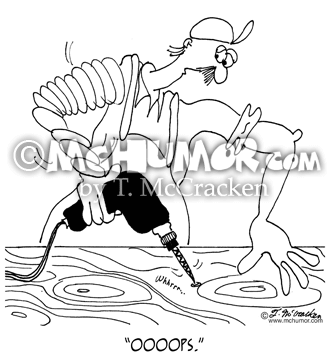 Carpenter Cartoon 6437: A carpenter who's using a power drill twists his whole arm and says, "Oooops." 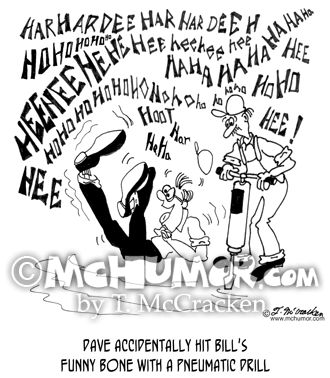 Drill Cartoon 6331: A man rolls around laughing hysterically on the ground. 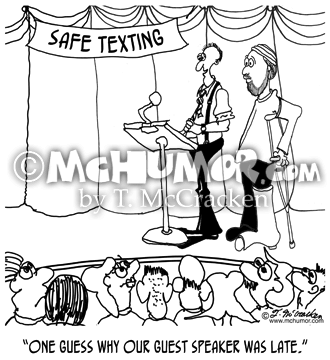 "Dave accidentally hit Bill's funny bone with a pneumatic drill." 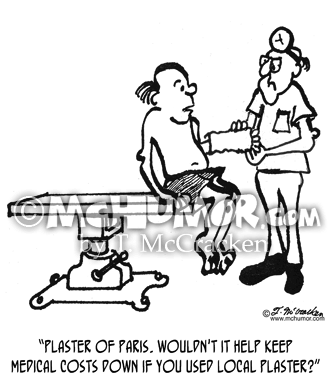 Doctor Cartoon 4078: A man having a cast put on his broken arm says to the doctor, "Plaster of Paris. 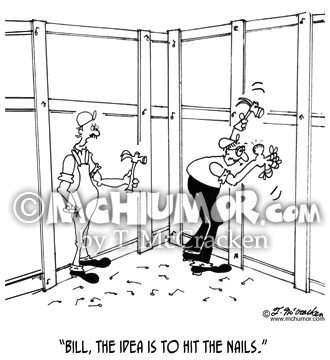 Wouldn't it help keep medical costs down if you used local plaster?" 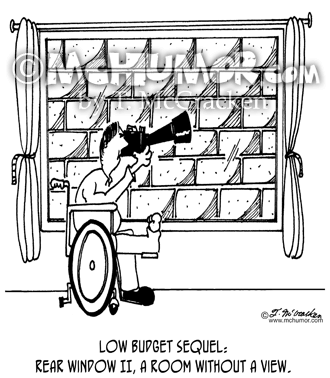 Movie Cartoon 4568: "Low Budget Sequel: Rear Window II, A Room Without A View." A fellow in a wheel chair looks out his window at a wall of bricks. 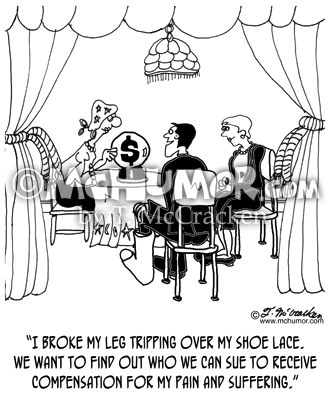 Lawsuit Cartoon 8384: A man with a broken leg at a fortune teller says, "I broke my leg tripping over my shoe lace. 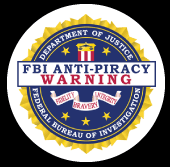 We want to find out who we can successfully sue to receive compensation for my pain and suffering." 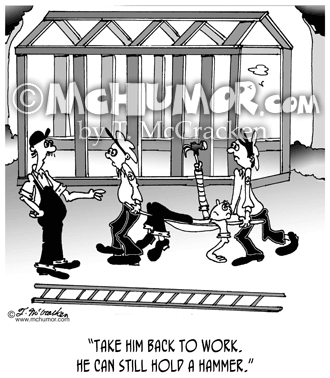 Carpenter Cartoon 6360: A carpenter says to another who's hit one of his fingers and has bandages on all the rest, "Bill, the idea is to hit the nails."